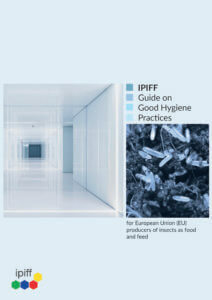 Do you want to know more about the Draft European Union (EU) producers Guide on Good Hygiene Practices? Why did IPIFF develop such a document and what does it contain? Is this a legally binding document for insect producers? Will this document be reviewed in the future? the production of insects destined to animal feed for food producing animals, including terrestrial livestock (e.g. poultry & pig species), aquaculture or pet food animals. 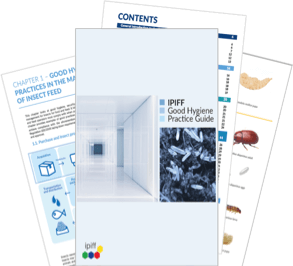 It encompasses all production steps, from the feeding of the insects, their breeding, the killing & processing steps, storage or transport activities, up to the final delivery of the product to consumers or feed manufacturers. Its use is voluntary, based on full-self responsibility of the insect producer.